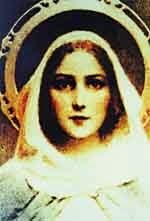 I am Mother Mary and I came here today to tell you that we now have begun our ascension. Earth's surface is being transformed to a higher energy level. It can get a little tumultuous here and there, but on the whole everything will get better. I'm so glad we've come this far. It has been a long wait but it has given results. The joy I feel today, cannot be described with words, it must be experienced. 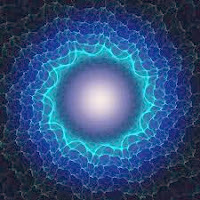 Everything vibrates now in a bit higher frequency as you all have to adjust yourselves to. There are many who will seek your help now. What has been hidden for a long time can no longer be hidden concealed. Everything asks to come forward. The negative can not withstands the higher vibrations without coming to the surface, where they then must dissolve and disappear. How do you solve them? Well, by forgiveness and love. Send love and light to the dark and it disappears. There is a bright time entering and it warms my heart and everyone else's. It is easier now to find harmony and joy in life. Search and you will find it without any major worries. The sun shines with a stronger light and captures all who want to be captured. Feel the peace in your heart when the sunrays reach it. I am happy now and look forward to the time ahead. All the work you have done has now yielded results. Without you even knowing about it you are in the beginning of what you call "the Golden Age". Pause and feel the vibrations around you and you will understand that it is true. Listen very carefully so you can feel how it vibrates in your heart. Your body has already begun to assimilate these new vibrations. The lower vibrations are on the way out and the higher are entering. This is done at the pace that your body and your psyche can handle it. It is the adaptation that occurs both in the body and on Earth right now. Everything cannot be done in a day or a night. Everything takes time, some things must be healed before anything else can get in. Depending on how much resistance there is in the body and soul. The only thing we can say with certainty is that it heals. Everyone can enter the new that has now outlived the old. The pace you decide. What you once decided once and which is in your contract, lies firm. Nothing can change that. It is your free choice. Most of Earth's people have chosen to come home. They are on the way there. Our Father has opened his arms for all of you who have chosen this. Seek and you will find your way home. Many signs will be given to you to find your way. The main road is of course by your own heart. Stop and be in yourselves, it is always a good start. Quiet your thoughts and listen within for your own heart's voice. The voice that is true and bright. Deceit, falsehood or fear does not reach there. You feel security and harmony, you know far into your body that this is true and that it is you. "Your true self". That's when you know you are on your way home, and your steps will be easier for each day that passes. I'm there with you every step along the way.